People using public transportation in Richmond is on the rise, reversing a decades-long trend of ridership decline. According to new data from the Greater Richmond Transit Company (GRTC), ridership on the bus system in the final months of 2018 is up by roughly 11 percent compared to the previous year. That makes Richmond a rare American city where more, not less residents are choosing to use public transit. GRTC officials credit the launch of the Pulse bus rapid transit line, a new partnership with VCU, and an overhaul of bus routes for reversing ridership decline. Spokesperson Carrie Rose Pace said the new 15-minute frequency on main lines like Carry and Main Street are also driving up ridership numbers. “When you place more frequent, more convenient service like that on a major corridor, then people take advantage of it and get on the bus,” she said. The new data from GRTC also shows the popularity of Pulse has exceeded goals set prior to its launch. 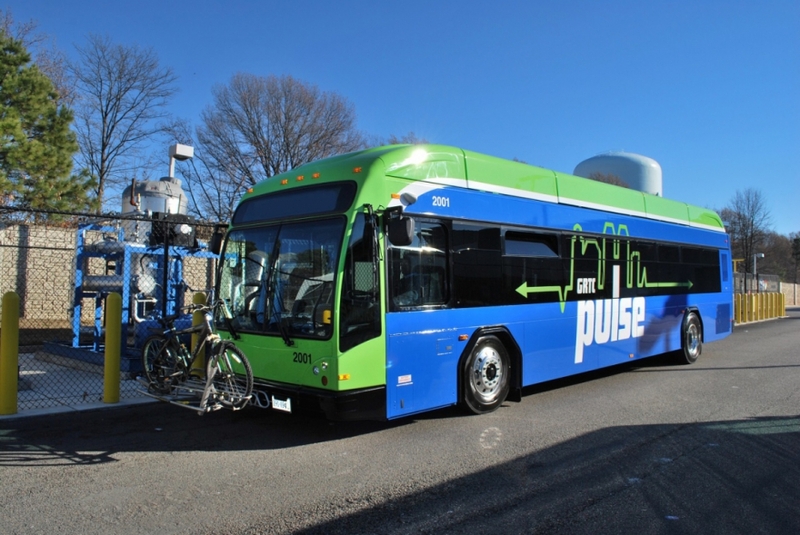 The Pulse line currently has about 6,100 riders each weekday, nearly double the goal of 3,500. RVA Rapid Transit activist Nicholas Smith said the new improvements, as well as the launch of Transit App in Richmond are making public transit in the city more convenient than ever. GRTC officials say more improvements, such as one-ride passes for sale on its mobile app, should help sustain increased ridership going forward.